It’s no secret that for years truck manufacturers have competed for truck sales by boasting to have the “best in class” tow ratings. I have always taken issue with this because the consumer is the loser in the end. Vehicles go through rigorous testing to determine tow ratings, but the problem is there was never a standard manufacturers had to meet or measure the vehicle against to determine a vehicle’s tow rating. Unfortunately this results in biased outcomes. My journey into questioning tow vehicle ratings officially began in 2007 after I watched a television commercial advertising a new Ford F-150 with a fully-boxed frame could safely tow an 11,000 pound trailer. That television commercial culminated in my Let’s Talk Half-Ton Trucks article. Now it might sound or seem as though I am picking on Ford, but they brought this on by the claims they made and advertised to the public. In 2012 a Ford truck owner wrote asking for help in determining what his actual tow rating was. He was confused because what he was told the tow rating was, and what was advertised in Ford’s towing guide were two different things. After some research I discovered there were two different published tow ratings for the truck in question. That lead to my Caution-Why Truck Tow Ratings don’t add up article. During my time spent researching and writing these articles I did get a glimpse of promising light at the end of the tunnel. 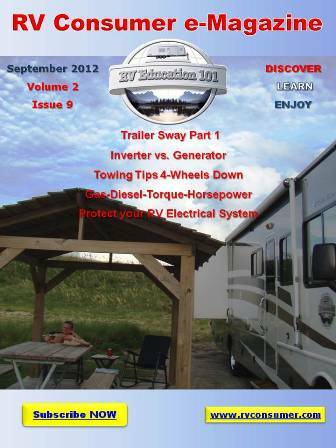 In 2010 I read information about a new towing standard called SAE J2807. This standard would be developed and used to determine trailer weight ratings for all tow vehicles. I don’t always agree with mandated standards, government or otherwise, but this is one standard I am in favor of. The way it developed, very briefly, was several domestic and foreign truck manufacturers worked with the Society of Automotive Engineers (SAE) to establish standardized testing across the board for tow vehicle ratings. The standard was written, revised, agreed on and established with an implementation date of 2013. This gave all of the manufacturers sufficient time to prepare for and implement the new standard. I applauded these manufacturers for voluntarily reaching this milestone, and anxiously awaited 2013 when the new towing standard would be implemented. Unfortunately 2013 came and went, and one-by-one (with the exception of Toyota) truck manufacturers opted out of complying with the towing standard they all agreed to implement and use three years prior. That led to my SAE J2807 Truck Towing Standard article. While researching and writing these articles I discovered some other troubling information. For example in my original article when Ford advertised that a 2007 F150 had a tow rating of 11,000 pounds they failed to mention that out of the 56 Ford ½ ton truck configurations available in 2007 only one was rated to tow 11,000 pounds. And it seemed as though that one ½ ton model (rated to tow 11,000 pounds) only existed on paper. In addition to this one model truck not showing up on dealer lots if you wanted to purchase a Ford F150 with a super cab, so there is room for the family, with 4WD and a short bed your tow rating is more like 6,000 pounds as opposed to 11,000 pounds. The problem I had with this was a nationally televised advertising campaign had consumers believing if they bought a 2007 F150 it could tow 11,000 pounds. These types of towing related problems have existed for 50 plus years as truck builders compete for our business, but it’s time for these marketing ploys to end. That brings me to 2015. In the eight years since first writing about this topic other variables have come into play that directly affect the outcome of vehicle tow ratings. Automakers are under pressure to meet new federal CAFE fuel standards and EPA regulations being imposed over the next decade. Truck sales play a vital part in vehicle manufacturer profit margins. In an effort to increase fuel economy and remain competitive with tow ratings truck builders are using technology like engine cylinder deactivation, variable valve timing, six and eight-speed transmissions, improved aerodynamics and lightweight aluminum bodies. The good news for the consumer is Dodge, GM and Ford are all SAE J2807 compliant for 2015. This at least means the consumer will get a tow rating that was measured against a real standard. There should be no more of the “my tow rating is higher than your tow rating” mentality. 2) consumer education as it pertains to published tow ratings. Every time I see a ¾ ton truck towing a large 5th wheel trailer it makes me a little nervous. RV manufacturers are very cognizant of every dollar spent building a RV, but just like the towing standard it is long overdue that these RV manufacturers upgrade travel trailer and 5th wheel trailer braking technology with disc brakes. Disc brakes have been used on automobiles since the 50’s and 60’s. I don’t understand why disc brakes aren’t used on the larger heavier trailers these vehicles are towing. I understand the cost factor, but in my opinion from a consumer safety viewpoint it’s the right thing to do. Number two on my list was consumer education on manufacturer published tow ratings. Adopting the SAE J2807 towing standard is a major breakthrough, but there is more involved with towing a trailer safely than the published tow rating assigned to a vehicle. When a manufacturer publishes a tow rating it is basically the vehicle’s Gross Combined Weight Rating (GCWR) minus the vehicle’s Curb Weight (CW) equals the amount of weight the vehicle can tow. In many situations this is what the consumer bases their buying decision on, without considering other variables that affect the vehicles tow rating. Some, but not all of these considerations include: how much weight is loaded in the truck, how much weight is loaded in the trailer, the tongue weight or pin weight placed on the rear axle, payload capacity, exceeding the Gross Vehicle Weight Rating (GVWR), exceeding the Gross Combined Weight Rating, proper hitch and brake components, exceeding tire ratings, exceeding other component weight ratings in the towing system and more. This is a complex and confusing topic making educating the consumer that much more difficult. But the fact is if you base tow ratings solely on vehicle manufacturer published tow ratings, as a measure for safe towing, grossly overloaded tow vehicles and mismatched tow vehicle and trailer combinations are the result. This can be extremely dangerous to the occupants in the tow vehicle and to other people in the vicinity of these mismatched combinations traveling down the highway. There is no quick and easy method to alleviate all of these concerns. If I had to try and simplify it as much as possible I would offer that you should purchase a trailer with a GVWR that is equal to or less than the vehicle’s published tow rating. This way even if the trailer is loaded to maximum capacity the vehicle is rated (at least on paper) to tow that amount of weight. But I want to emphasize there is much more involved in the towing equation. 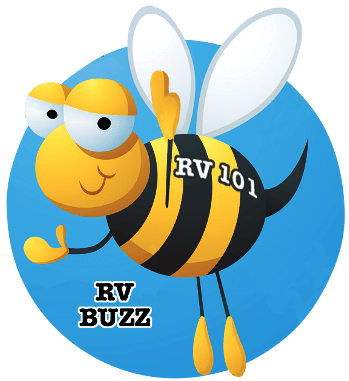 Several of our RV Education 101 books and DVDs address these towing concerns in great detail, and you may want to try using this RV Tow Check Calculator for more informaton on matching the tow vehicle to the trailer. It took a long time to reach the SAE J2807 towing standard milestone and maybe through continued education we can make progress with some of these other towing related concerns.